Sealed Bids for the construction of the WWTP Upgrade – Influent Flow Monitoring System will be received by: James Roach, City Administrator, City of Jackson, Missouri, 101 Court Street, Jackson, Missouri 63755, until 11:00 A.M. local time on Wednesday, May 8, 2019, at which time the Bids received will be publically opened and read. The work in general consists of the installation of one (1) new subgrade concrete meter vault, to be constructed around an existing 30”Ø ductile-iron pipe, and the installation one (1) new 30”Ø inline magnetic flow meter within said vault. Incidental to the installation of the new concrete vault is the demolition of one (1) existing and construction of one (1) new post-barn sheet metal building; electrical/control work; and miscellaneous civil/sitework. Bids will be received for a single prime Contract. Bids shall be on a lump sum price basis as indicated in the Bid Form. The contact person for this Project is Sean Mickey (314-531-4321 Ext.367 or scmickey@hornershifrin.com). Prospective Bidders may examine the Bidding Documents at the following locations Mondays through Fridays between the hours of 9 a.m. and 4 p.m. Copies of the Bidding Documents may be obtained from the Issuing Office electronically upon payment of a $15 non-refundable fee for each set. The date that the Bidding Documents are transmitted by the Issuing Office will be considered the Bidder’s date of receipt of the Bidding Documents. Partial sets of Bidding Documents will not be available from the Issuing Office. Neither Owner nor Engineer will be responsible for full or partial sets of Bidding Documents, including Addenda if any, obtained from sources other than the Issuing Office. Bidders shall have a minimum of 5 years' experience routinely engaging in the construction of wastewater facilities. Bid security in the amount of 5 percent of the Bidder’s Maximum Bid Price must accompany each Bid, as stated in the Instructions to Bidders. Bids may be withdrawn prior to the time of opening of the first Bid; Article 16 of the Instructions to Bidders provides additional information of withdrawal of bids. Bids received from Contractors not listed on the official Bidder’s List as recorded by the Electronic Plan Room of Quest CDN will be returned to the bidder unopened. 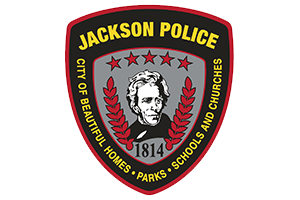 The City of Jackson (the Owner) reserves the right to reject any and all Bids for a sound, documented reason. Award of contract will be made to the lowest and best, responsive, responsible bidder possessing the ability to perform successfully, which will be determined by considering such matters as contractor integrity, compliance with public policy, record of past performance, and financial and technical resources. The prevailing wage rate be paid to all employees working on its construction projects in accordance with Missouri State Law. The prevailing wage rates can be found in the Contract Documents. Bidders who agree to provide work under this Contract must provide a ten-hour OSHA construction safety program or other similar program approved by the Department of Labor and Industrial Relations of the State of Missouri, in accordance with Sec.292.675 RSMo. The City of Jackson hereby notifies all bidders that it will affirmatively insure that in any Contract entered into pursuant to this advertisement, minority business enterprises will be afforded full opportunity to submit bids in response to this invitation, and will not be discriminated against on the grounds of race, color, or national origin in consideration of award. Notice is hereby given that Section 285.530 of the Revised Statutes of Missouri requires that no business entity or employer shall knowingly employ, hire for employment, or continue to employ an unauthorized alien to perform work within the State of Missouri. Any business entity providing work under any contract in excess of $5,000.00 shall participate in a federal work authorization program such as E-Verify and shall provide documentation of such participation to the City.